Gorgeous Family Retreat located on Old Hickory Lake close to downtown Nashville. Watch the sunrise on your private deck overlooking your covered boat dock with great fishing, swimming, skiing, and bird watching. This place overlooks a natural bird habitat. Great swimming and fishing off of dock located directly behind house. Paddle boat available and pontoon boat rentals. Beautiful sunsets most days. Everything was on point. Beautiful. Inside and out. Definitely coming back!! Very nice house and location. We had lots of activities planned in the Nashville area. This is a perfect location. 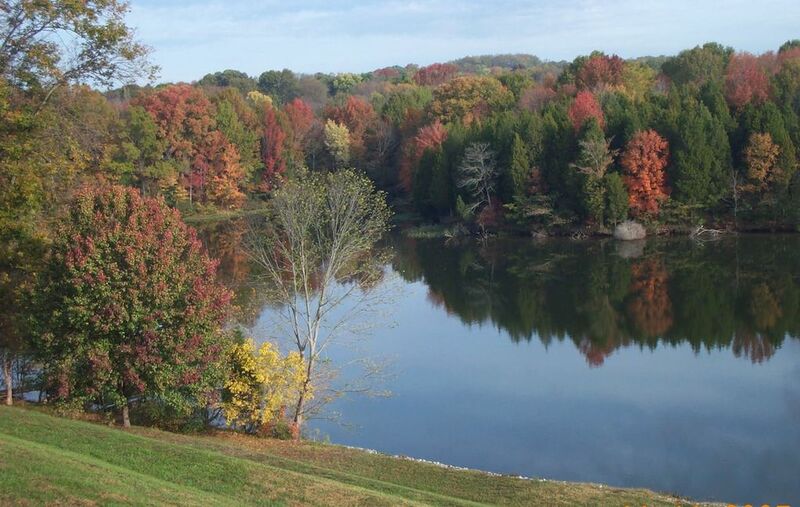 It is on a lake in a quiet neighborhood and a short drive to Nashville. The house was roomy and my sons enjoyed lake activities as well as sitting on the deck watching the lake. All went well and I highly recommend this VRBO. This cabin is Great. We spent Christmas at the cabin on the lake. Saw Bald Eagles every morning we were there. And watched the FULL moon rise over the lake. God's Country. The KITCHEN -- Super equiped with everything, even some spices and oils. Every tool we needed was there and we cooked the entire time, from beef to deserts. The BATH's == BIG. Room to spread out your stuff while not at home. Plenty of BIG towels. Just leave on the Vent Fan. The BEDs == Very comfortable and nice sheets. Very convenient to SHOPPING, 30 minutes to Downtown Nashville. The house is great! The living area was large and the kitchen was a perfect size. GREAT VIEWS! The living area was a perfect size with ample seating. The kitchen had plenty of space for two to work in without crowding. The bedrooms were spacious. But the best feature is the beautiful view of the lake from the wonderful porch. The porch has great seating and has a covered area in case of light rain! I definitely recommend this home! Loved the place! Very nice open living area and great view of the lake off of the patio. Would definitely booked this location again and again!! Thank you very much for your kind comments. So glad you liked it hope you come back soon. Thank you Cincinnati girls. We are so glad you chose our house. Please come again. Located on old hickory lake with your own private boat dock and paddle boat. Fantastic fishing, skiing, or just 'hanging out' playing water volleyball right in the cove. Conveniently loecated to Downtown Nasville to take in the local sites like Tootsie's, Ryman, Country Music Hall of Fame, and much more.